The Greek historian Herodotus has the Athenian sage Solon estimate the lifetime of a human being at c. 26,250 days (Herodotus, The Histories, 1.32). If we could read a book on each of those days, it would take almost forty lifetimes to work through every volume in a single million book library. The continuous tradition of written European literature that began with the Iliad and Odyssey in the eighth century BCE is itself little more than a million days old. While libraries that contain more than one million items are not unusual, print libraries never possessed a million books of use to any one reader. The great libraries that took shape in the nineteenth and twentieth centuries were meta-structures, whose catalogues and finding aids allowed readers to create their own customized collections, building on the fixed classification schemes and disciplinary structures that took shape in the nineteenth century. The digital libraries of the early twenty-first century can be searched and their contents transmitted around the world. They can contain time-based media, images, quantitative data, and a far richer array of content than print, with visualization technologies blurring the boundaries between library and museum. But our digital libraries remain filled with digital incunabula  digital objects whose form remains firmly rooted in traditions of print, with HTML and PDF largely mimicking the limitations of their print predecessors. Intelligent digital libraries can allow a greater number of users to make more effective use of a wider range of their holdings than was ever feasible in print. Traditional finding aids were much more limited in their ability to increase intellectual access; ink on paper cannot speak or search itself; print grammars and lexica cannot generate any translations  good, bad or indifferent  of text from one language to another; gazetteers cannot convert themselves into databases or display their contents on maps or timelines. The Chinese speaker from Shanghai interested in Greek literature or the English speaker from Massachusetts interested in Chinese should be able to call upon our knowledge of these subjects, converted into their own native languages and structured in ways to meet their own particular needs, whether they are professional researchers or general readers curious to expand their horizons. The money seems to be very much available to convert millions of books into digital form. Google has its own proprietary data entry environment, with the Open Content Alliance close behind and other vendors continuing to develop their offerings. Thus no serious financial or technical barriers stand in the way of the world having at its disposal a larger, more comprehensive collection than the best university library on earth  because, in fact, this collection would, if perfectly realized, subsume the Harvard Library system. Other barriers remain nonetheless, and nothing guarantees the arrival of multimillion volume digital libraries. Usage of massive digital libraries could, for example, not support the revenue needed to complete them  Google, Microsoft, Yahoo and others surely have hundreds of millions of dollars to invest in profitable endeavors, but it is far less clear that they would write off such sums to serve the public good with a comprehensive, universally accessible digital library of human knowledge. More immediately, rights holders have already begun legal action, and Google will have to fight its way through the courts to realize its vision fully. On the other hand, Google may have so dramatized the issues that Yahoo, Microsoft, and others working through the Open Content Alliance or similar consortia may find it easier to craft workable rights agreements. In the end, we should remember that copyright is an instrument to generate wealth and protect content. If Google Library or similar endeavors promise to produce more than existing mechanisms, then U.S. (and international) law will adapt, one way or the other.9 Sooner or later some form of compulsory licensing, similar to that used by radio stations which broadcast copyrighted content, will probably emerge as a reasonable solution. We can always adduce reasons why these massive libraries will not emerge, and there is no guarantee that they will emerge in the next ten years, but we also must consider the consequences not only for digital libraries but also for the intellectual life of the human race as a whole if the record of human experience becomes, in substantial measure, freely available online anytime and anywhere. On a practical level, what will happen to print collections, large or small, if large digital libraries become larger, more accessible and more flexible than any university library in history? On a broader level, we are facing a shift that may eclipse the significance of print and approach the impact of writing itself: for writing first stored human ideas outside of our brains and print enhanced the effect. Digital libraries, where books read one another in however a rudimentary fashion, have already begun to separate intelligence and action from the human brain. Scale: The largest academic digital libraries, such as the Making of America,10 have included tens of thousands of books. A completed Google Library, based on the collections of the current partners, would probably contain more than ten million items.11 The scale of openly accessible digital libraries could thus increase by three orders of magnitude. Some commercial collections are larger, but their size is hard to quantify and few, if any, probably exceed the equivalent of 100,000 volumes. The change in scale alone is staggering, with quantitative change so great that qualitative effects are likely to follow. Heterogeneity of content: Most digital collections  even relatively large, "image front" collections such as the Making of America  have organizing principles and thus relatively coherent, if not homogeneous, contents. The new massive digital libraries propose to include everything ever published. This new heterogeneity presents an electronic tower of Babel: Harvard's Widener Library collection alone includes "social sciences, humanities, collections in over 100 languages." Some scholarly communities assume multilinguality, but classics, which supports as many semiofficial languages as any field its size or larger, assumes at most five modern languages (English, French, German, Italian, and Spanish) besides Greek and Latin. Even in classics, most digital collections have, however, been treated as monolingual. If we use languages as one measure for increased heterogeneity, we are facing an increase in complexity of at least one and probably two orders of magnitude. Granularity of objects: Most digital libraries still mimic their print predecessors, treating individual objects  commonly chunks of PDF, RTF/Word, or HTML with no standard internal structure  as its constituent units. As digital libraries mature and become better able to extract information (e.g., personal and place names), each word and automatically identifiable chunk of words becomes a discrete object. In a sample 300 volume, 55 million word collection of nineteenth-century American English, automatic named entity identification has added 12,000,000 tags. While this collection focuses on name rich historical materials and includes several reference works, this system already discovers thousands of references to named entities in most book length documents. We thus move from single catalogue entries with a few hundred words to thousands of tagged objects  an increase of at least one order of magnitude with named entities and of at least two orders of magnitude when we consider each individual word as an object. Noise: Existing digital libraries are, on the whole, heavily curated. The Thesaurus Linguae Graecae (TLG) had texts double keyed and carefully refined the results. The Making of America and JSTOR, which depend upon optical character recognition (OCR) output for searchable text, provide metadata for individual articles and authors. Google Library and projects such as the NEH/LOC National Digital Newspaper Project, which emphasize massive input instead, only provide page level metadata. Furthermore, since emerging massive digital libraries not only rely upon OCR output but also contain a much broader range of materials, the error rates will be much higher than those for projects such as JSTOR or the Making of America, which present standard English language text similar to that for which commercial OCR systems are designed. While running English prose will be well served, books published before the mid-nineteenth century will produce much noisier output. Books printed in historical languages (e.g., classical Greek) would be essentially unsearchable. Moving from article level to book level (e.g., instead of ten marked chapters having only a single book with page numbers) will increase the noise level by about one order of magnitude. The added noise from OCR can range from marginal (e.g., an early twentieth-century cleanly printed edition of Dickens) to catastrophic (e.g., a Greek source text). Massive collections based on image books will for the foreseeable future include at least one, probably two, orders of magnitude more noise than their predecessors. Audience: While some digital collections (e.g., Perseus, Making of America, American Memory, Camena/Termini) support open access, most humanities collections, both non-profit (e.g., JSTOR, TLG) and for profit (e.g., Gale databases) depend upon subscriptions. Google, Yahoo, and Microsoft combine these models. Each begins with an open access (though not an open source) distribution model with advertising as the default revenue source, while premium services are available by subscription and/or one time transaction costs. In each case, they aim for an audience far more general than the academic community, one that more closely resembles the universal audience that public libraries strive to serve. As an initial estimate, one might compare the 3,000 current members of the American Philological Association to the 400,000 unique visitors to the open access Perseus digital library. By this comparison, the audience of massive open access digital libraries might be two orders of magnitude larger than that of the subscription based services currently in use. Collections and distributors: Google Library would, if fully instantiated, create a single point of entry for the complete printed record of humanity. While such a goal may be unattainable, Google Library could well replace many smaller collections, each with its own front end and back end data structures. The success of Google itself reflects the desire, often unexpressed but observable in practice, to find one simple point of entry into human knowledge. The information economy of the early twentieth century may appear as bizarre as the welter of toll roads and variably gauged railroads that divided  as much as connected  the United States in the nineteenth century. While many of Google's sincerest admirers may find a long term Google monopoly over human cultural heritage unsettling, other models such as the Open Content Alliance suggest more transparent mechanisms of collection development. The OCA approach may provide an optimal model, with a single, open source collection of content from diverse groups to which a small number of third parties provide services. Whether we face an order of magnitude of reduction in collections and/or points of entry, we can expect major changes in this area as well. Thus large digital libraries promise to change at least five core dimensions of digital collections by at least one and probably more orders of magnitude. Any one of these increases would have potentially major implications. With at least five such increases, each interacting with the others, the probability becomes even larger that we confront a phase shift in how we use, support, and plan for digital collections. Analog to text: Where the DARPA research primarily focuses upon speech analysis, humanists need to develop methods to augment existing OCR technology. 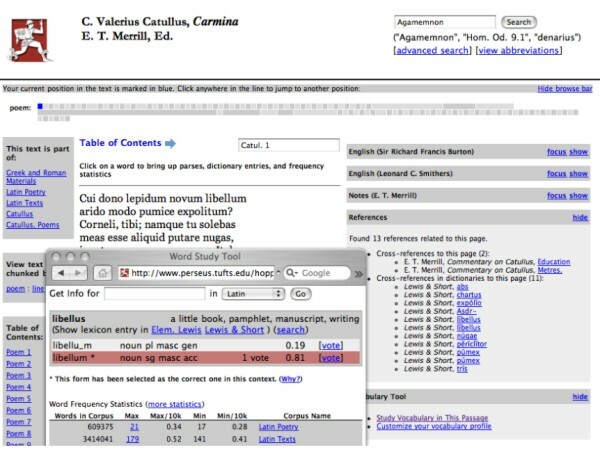 Challenges include not only character sets not supported by commercial packages but also the vagaries of earlier printing in well supported languages such as English, French, and German, and the analysis of page layout structures crucial to humanists (e.g., picking out footnotes from text, identifying the beginning and end of entries in lexica, encyclopedias, and gazetteers). The problem extends beyond transcription: we need to be able to analyze page layouts to parse out footnotes, tables, headers, tables of contents, indices, marginalia, and other structural patterns that segment and give meaning to the characters on the printed page. Sayeed Choudhury and his colleagues describe results of their work with document recognition. They also describe how emerging document recognition systems can draw upon the scale of very large collections to attract larger communities to improve the results of automated process such as optical character recognition, as well as generating training and evaluation data from carefully transcribed corpora in the digital library. Machine translation: This breaks down into two issues. First, machine translation for contemporary languages has made rapid progress in recent years, with the systems available on Google producing much more readable results for German-English, Japanese-English, and so forth. Second, machine translation has immense potential for unlocking large bodies of primary sources in historical languages  the vast majority of Latin was composed in the fifteen hundred years after the classical period and will probably never be translated into English or any modern language. David A. Smith outlines the background of machine translation and suggests how very large digital libraries can provide the parallel texts and similar language resources to support services such as machine translation. Information extraction: There are two levels to this area. First, we need to identify individual elements such as references to people, places, dates, and organizations, to name only a few types of potential entities. Humanists also need sophisticated methods to extract succinct citations not only to secondary sources (e.g., "AJP 57" equals volume 57 of the American Journal of Philology) but also to primary sources (e.g., "1.38" in a given context describes Book 1, Chapter 38 of Thucydides' History of the Peloponnesian War), as well as embedded quotations, footnotes, and other textual links that are far more complex than those managed by CiteSeer or Google Scholar. Second, we need to evaluate methods of generating higher level inferences. These higher level inferences include both aggregate metadata (e.g., a given document was probably published shortly after 1988 and primarily covers Roman Britain in the 320s) and generation of atomic propositions (e.g., "PERSON arrived at PLACE" equals RDF propositions associated with a particular person and place). The article by Greg Crane and Alison Jones describes the problems of supporting such processes and some of the print resources that can be mined to improve not only information extraction and named entity analysis, but also document recognition and machine translation. Before we move on to emerging technologies, however, two other articles provide examples of forward thinking work relevant to the development of very large collections now starting to take shape. Document analysis, multilingual technology, and information extraction can be modeled in general terms, but these technologies acquire meaning when they are aligned with the needs of particular domains. Two articles in this issue of D-Lib provide case studies that address complementary efforts. Wolfgang Schibel describes collection development for a digital library on early modern culture (roughly from the first printed books through 1750). Enhanced OCR, machine translation, and information extraction promise to revolutionize the study of this historically central field in which language and cultural assumptions have rendered the primary sources virtually inaccessible to all but specialists. More interesting from our perspective, Schibel and his colleagues have shifted from digitizing documents to mining those documents for information about people, places, organizations, and various semantic fields relevant to early modern studies. This emerging knowledge base (TERMINI13) will provide the information that will in turn support improved OCR, machine translation, and information extraction. Collection development and all three of the core functions are intertwined and affect each other, with changes in any one affecting subsequent iterations of all components of the system. Dan Cohen's article describes work building on application program interfaces (APIs) to the large Web-based collections indexed by Google and Yahoo. Cohen's work anticipates what scholars can do when they build upon very large, but uneven, collections already available. His work points the way towards scholarly services and specialized experiments that will characterize research, especially in the humanities, when our research libraries make the transition to a large-scale, integrated digital form. 1. The card catalogue has exerted the most problematic incunabular effect upon digital libraries, with digital libraries trying to replicate card catalogues while users want content. The popularity of Google and the unfortunate demise of classification based systems such as Northernlight illustrated user impatience with catalogue-like approaches. On this topic, see Carl Lagoze, et al. "What is a Digital Library Anymore, Anyway? : Beyond Search and Access in the NSDL" D-Lib, November 2005, <doi:10.1045/november2005-lagoze>. 2. For an excellent review of the potential of synthetic documents within a universal digital library, particularly in terms of solving copyright issues, please see Michael Ian Shamos, "Machines as readers: a solution to the copyright problem." J. Zhejiang Univ. Science 6A, 11, pp. 1179-1187 (Nov. 2005). 3. For a discussion of how language models can be used to date a historical text, please see F. de Jong, et al., "Temporal Language Models for the Disclosure of Historical Text", XVIth International Conference of the Association for History and Computing, 2005. 4. These three features are well established: information retrieval systems that employ user feedback are well documented in the literature and perform all three functions: they can break text objects down into small chunks and return snippets from the whole, they analyze their corpora automatically, and they recalculate results based on user responses. Data and text mining systems combine automated analysis and user feedback to analyze more diverse data sets. Digital libraries such as the Amazon.com commercial web site relentlessly recombine their items in an attempt to create more attractive combinations of objects for their customers. More recently, the Mellon-funded Nora text mining project has begun creating an interactive text classification system that exploits the markup of TEI-conformant documents. Please see, Catherine Plaisant, et al. , "Exploring Erotics in Emily Dickinson's Correspondence with Text Mining and Visual Interfaces." <http://hcil.cs.umd.edu/trs/2006-01/2006-01.pdf>. 5. Carnegie Mellon Libraries: Million Book Project FAQ, <http://www.library.cmu.edu/Libraries/MBP_FAQ.html>. 6. Brian Lavoie, et al. "Anatomy of Aggregate Collections: The Example of Google Print for Libraries." D-Lib Magazine, September 2005, <doi:10.1045/september2005-lavoie>. 7. Open Content Alliance (OCA) home page, <http://www.opencontentalliance.org/>. 9. For a comprehensive overview of the copyright issues faced by universal digital libraries, please see Hannibal Travis, "Building Universal Digital Libraries: An Agenda For Copyright Reform." Forthcoming, Pepperdine Law Review, available at <http://papers.ssrn.com/sol3/papers.cfm?abstract_id=793585>. 10. The Michigan Home page for the Making of America (last change November 15, 2005), <http://www.hti.umich.edu/m/moagrp/>, claims "9,500 books and 50,000 journal articles with 19th century imprints," including 12,007 volumes in all. The Cornell Making of America (http://cdl.library.cornell.edu/moa/) claims "267 monograph volumes and over 100,000 journal articles," representing 955 serial volumes. 11. Harvard College Library, <http://hcl.harvard.edu/libraries/>. 12. DARPA Information Processing Technology Office, <http://www.darpa.mil/IPTO/solicitations/open/05-28_PIP.htm>; GALE - Global Autonomous Language Exploitation, <http://projects.ldc.upenn.edu/gale/>; Say What? : Global Autonomous Language Exploitation <http://www.military.com/soldiertech/0,14632,Soldiertech_Translator,,00.html>.